Our exit-Ready approach for companies in PE/VC portfolios helps you and your investors make the right decisions, particularly in a cross-border exit context: Develop the right strategy to exit at the right price, with the right calendar, and in agreement with all parties. In India alone, 60% of PE-VC investments aged 6 years or more are still un-exited. That’s US$14Bn locked and invested at no return. We know from experience that this can be prevented if the shareholders and the management take the right decisions early enough. Going into an exit, your company’s business plan gives every expectation of realizing a high valuation. After the first meetings with potential buyers, issues are uncovered that you hope the M&A Advisor can fix, and quickly! But problems may be deep rooted, taking longer than hoped to solve. As time drags on, the exit becomes increasingly less feasible, a valuation gap appears, or IRR expectations have to be revised down. The resulting disappointment often leaves the relationship between the company and potential buyers irreparably damaged. This article is based on our long-lasting experience with Private Equity and Venture Capital invested companies, in India and elsewhere. Many of them face difficulties in exiting at acceptable terms. Many of the issues that can derail an exit might have been overlooked in a heady period of investment, producing an unrealistic exit calendar and valuation expectations, and creating doubt for potential buyers. Deals happen when companies feel their goals are aligned and their cultures don’t conflict. Lack of exposure to the western business culture can create an unbridgeable gap at exit time. Boards should ensure that all the dimensions of a future exit are known and looked after to deliver the right strategy, to exit at the right price, and within a controlled calendar, in agreement with the LPs. Bringing the right resources and processes on-board will maximize chances to develop a successful exit strategy. 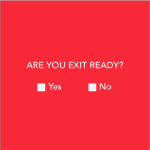 Contact us to prepare a successful exit.